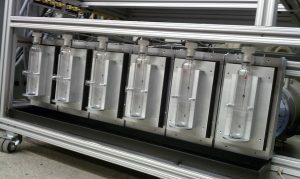 A research organization had a problem with overheating of their equipment in a chemical-vapor deposition reactor TECA’s AHP-301CPV Cold Plate cooled the equipment and improved the performance of the customer’s system. The customer was able to avoid system failures, which allowed the completion of a research project. 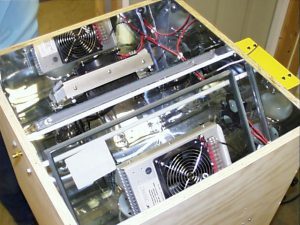 Below are few pictures of the “Canadian Fog Box” that our customer constructed using TECA’s AHP-300CP cold plates, power supply, and TC-3400 PID controllers. 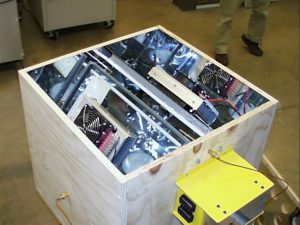 The interior of the box is covered with mirror finished aluminum to reflect the ultraviolet rays from the bulb in the bottom. The top is normally closed as well. The interior ambient temperature of the box is maintained @ 122 °F. subjecting the 2 insulated glass units (laying at a 45° angle) to intense UV radiation similar to strong sunlight. The upper portion of the glass is chilled to 70 °F. by your cold plates. This is maintained for 1 week 24 hours/day. 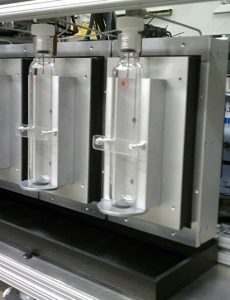 The insulated glass unit is then inspected for any condensation inside where the cold plates contacted the glass. Any condensation indicates impurities present inside the unit, which indicated faulty materials containing volatile gasses, which would lead to premature window unit failure. 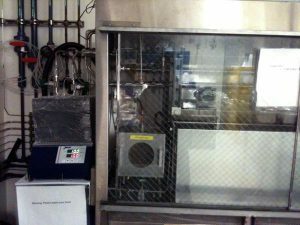 Any other ‘fog boxes’ use water flow cold plates to maintain temperatures. Our customer during a research found TECA’s cold plates and decided to give them a try to eliminate the hassle and mess of water plates. 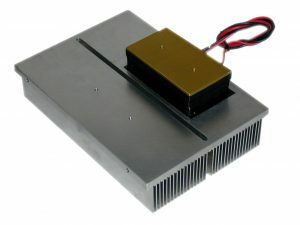 The thermoelectric cold plates (Peltier cold plates) have performed excellently to date, reaching and maintaining the 70 °F. quickly and without incident. 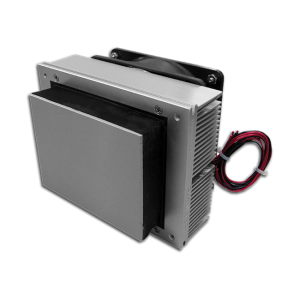 The AHP-150CP has been replaced by a newer and more efficient model the AHP-250CP series. 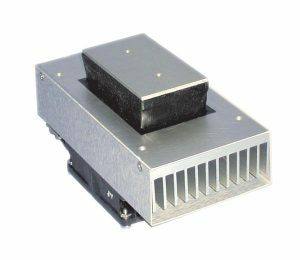 As a component in an OEM laboratory chamber, the AHP-150CP condenses out moisture to control humidity. 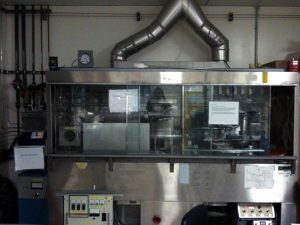 The chamber is primarily used in hospital laboratories. The small size of the AHP-150CP helped reduce the footprint of the chamber and helped increase the work space within the chamber. 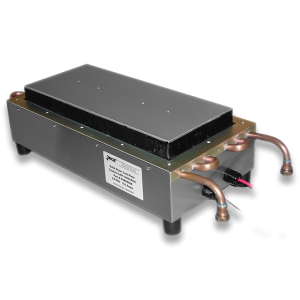 The AHP-150CP is maintenance free and the reliability of its thermoelectric cooling technology made our smallest cold plate the perfect OEM solution for this customer.